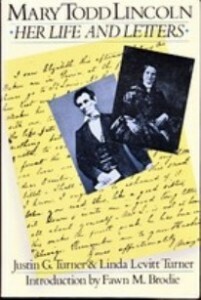 Below is the text of letters written by Mary Lincoln during a dispute in June 1865 with the National Lincoln Monument Association. The NLMA wanted to build Springfield’s monument to President Abraham Lincoln (and his tomb) on what was called the Mather Block near downtown Springfield. 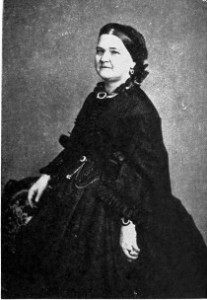 Mary Lincoln was adamant that the tomb and monument be in Oak Ridge Cemetery, which was two miles from the center of Springfield population. The text is taken from Mary Todd Lincoln — Her Life and Letters, by Justin G. Turner and Linda Levitt Turner (1972). Spelling, punctuation and emphasis are unchanged. Illinois Gov. 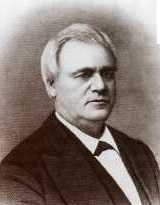 Richard J. Oglesby was president of the National Lincoln Monument Association. The Mather Block now is the site of the Illinois Statehouse. For more information on the controversy, see: Lincoln Tomb ‘Battle of the Gravesite’. I learn from the Newspapers & other sources, that you association have it in contemplation to erect a Monument to my Husband’s memory, on the Mather Block, in the City of Springfield, instead of over his remains, in Oak Ridge Cemetery. I feel that it is due to candor and fairness that I should notify your Monument association, that unless I receive within the next ten days, by an Official assurance that the Monument will be erected over the Tomb in Oak Ridge Cemetery, in accordance with my oft expressed wishes, I shall yield my consent, to the request of the National Monument association in Washington & that of numerous other friends in the Eastern States & have the sacred remains deposited, in the vault, prepared for Washington, under the Dome of the National Capitol, at as early a period as practicable. I perceive by the paper of to day, that not withstanding, the note, I recently addressed you, yourself and Mr. Hatch are en route to Chicago, to consult, with me, on the subject. My determination is unalterable, and if you will allow me again to add, that without I receive the 15th of this month a formal & written agreement that the Monument shall be placed over the remains of my Beloved Husband in Oak Ridge Cemetery, with the written promise that no other bodies, save the President his Wife, his Sons & Sons families, shall ever be deposited within the enclosure; in the event of my not receiving a written declaration to that effect, I shall rigidly comply with my resolution. If I had anticipated, so much trouble, in having my wishes carried out, I should have readily yielded to the wishes request of the many & had had his precious remains in the first instance placed in the vault of the National Capitol — A tomb prepared for Washington the Father of his Country & a fit resting place for the immortal Savior & Martyr for Freedom — Lest you do not acced to my wishes it is best that I should be apprised of your intended action, so that changes, if come, they must, shall shall be made before the heat of summer immediately. From today’s Chicago paper, I have clipped another interesting editorial, such articles injure those from when they emanate, far more than myself. My wish to have the Monument, placed over my Husband’s remains, will meet the approval of the whole civilized world, & if not carried out, and a favorable answer, given me by the 15th of this month, I will certainly do as I have said. It is very painful to me, to be treated in this manner, by some of those I considered my friends, such conduct, will not add, very much, to the honor of our state. I enclose you a scrap, sent from Springfield, to the paper to-day doubtless emanating, from the fertile pen (of) E.L. Baker. This entry was posted in Historic Sites, Lincoln Tomb, Lincoln, Abraham, Prominent figures and tagged Mary Lincoln; Richard Oglesby; Mather Block; Oak Ride Cemetery. Bookmark the permalink.